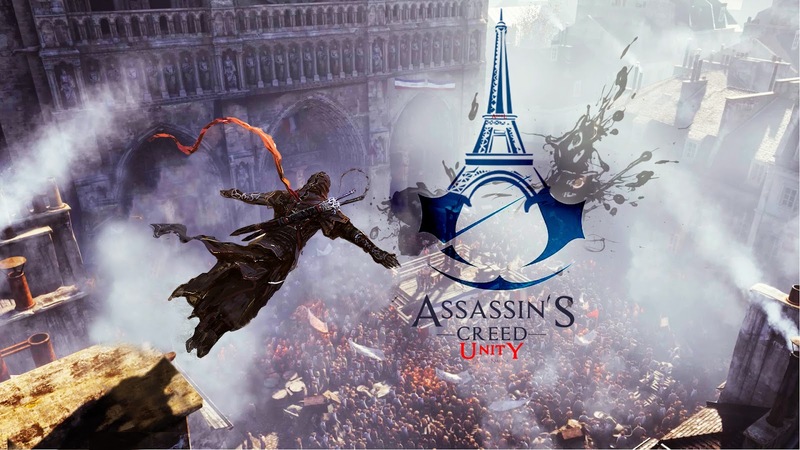 Assassin's Creed Unity puts you in the life of Arno Dorian (voiced by Dan Jeannotte) a native Frenchman, son of an Assassin, set during the eve of the French Revolution in Paris. After the death of his father and being blamed for the murder of his adoptive father, Arno sets out to become a member of the Brotherhood of Assassins, where he slowly rises through the ranks. Driven by revenge and the will to save Paris, Arno sets out to seek the truth during this tragic period in history. Assassins Creed Unity was the latest Ubisoft product created with the AnvilNext game engine, with new implements that will change the way you play. One of the newest additions is the Phantom Blade, which replaces the second Hidden Blade from previous Assassin Creed's. This weapon allows you to kill stealthy from a distance. It is a blade, attached to a crossbow type mechanism that allows you to shoot knives at people, to kill without being noticed. Since staying in the shadows is a major part of how you play through the game, this weapon comes in handy in tougher missions. Another huge difference is the addition of the "Parkour Up" and "Parkour Down" mechanics. These new abilities allow the player to easily scale up and down (hence the name "Parkour Up & Down") buildings and obstacles. 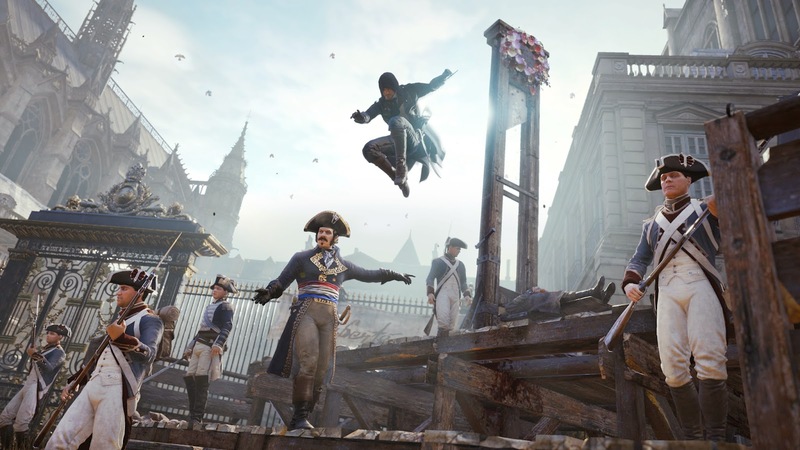 This gives the free running element have much more flexibility within Assassin's Creed. This aspect makes the game feel much more fluent and not as slow as the previous games. Another smaller addition to the game is that the world of Paris is huge, and allows you to roam to and from different districts while many in game activities appear like; fist fights, chasing a pick-pocket, or just simply solving a murder mystery. The last big addition to the game they implemented was the co-operative multiplayer, which allows you to freely roam Paris with your friends, or do missions and heists if that's more your style. Many of the major aspects of Assassin's Creed Unity are executed excellently, but there are always some flaws in every creation. So far, from my experience with the storyline, I am really enjoying it but I find some things could be explained a little better before the missions are started. The voice acting is spot on in my opinion; all the voices are different and it's hard to find similarities in the sound of the characters which is an awesome aspect to the game. Most of the gameplay mechanics within the game are great, and make you truly feel like an assassin the entire time. Although there are some bugs, mostly with NPC (non-playable characters) walking through buildings and obstacles, or standing on other characters. Also sometimes the costumes, hair, and weapons of some characters will become wonky, and might also cause the frame rate to drop, not drastically, but enough to notice it for a second. Even with the flaws, all the other gameplay aspects allow the player to feel more like an assassin than ever before in any other Assassin's Creed to date. Assassin's Creed Unity really gives you a grip on life within the French Revolution, while telling a gripping tale about rising above revenge and thinking more about the innocent, rather than yourself. Assassin's Creed hasn't been known for recreating the exact moments from that time period, mostly because they add the Brotherhood of Assassins into the time eras, causing some events to have some twists, which play out well. Assassin's Creed Unity brings new tech and new elements that will change the series for the better in the long run. Assassin's Creed Unity is definitely a must buy this holiday season. Always remember the Brotherhood code; "We work in the dark to serve the light. We are Assassins."